WiW Photography loves the night. The photos offer a refreshing view on the featured cities and locations. 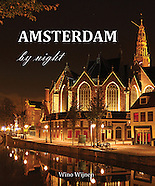 Be sure to check out the books "Amsterdam by Night" and "Wielder by Night". The favorites of you, my dear customers. These photographs are decorating the walls of homes and offices all over the world. Do you see something you like? Also check out the other galleries! Welcome to my personal selection of favorite photographs. I have taken the freedom to arrange them in themed categories in such a way that they offer an interesting point of view. Enjoy! This section contains all WiW Photography galleries, sorted by date. Feel free to browse around and be surprised by images that are not featured in the dedicated sections.